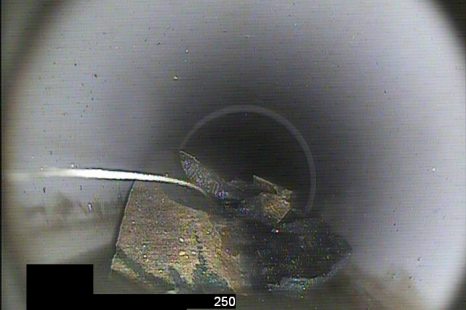 How to remove a failed or collapsed CIPP liner? 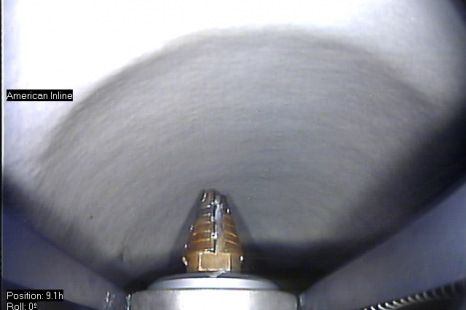 Simply with High Pressure Water Jet Cutting. 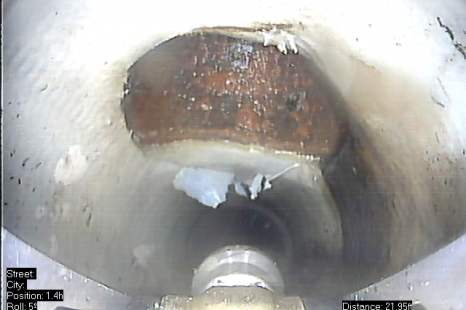 In this video a failed, partially uncured, liner with a massive wave (shark fin) at the bottom was removed from a 450mm (18”) host pipe with the Sewer Robotics WJ180 Water Jet Cutting Sewer Robot. 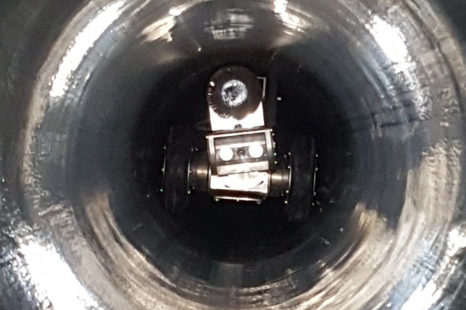 The operator controlled the water pressure and robot’s movements precisely with continuous eyes on the job to directly apply the high pressure water blast to the liner and cut it into small pieces. 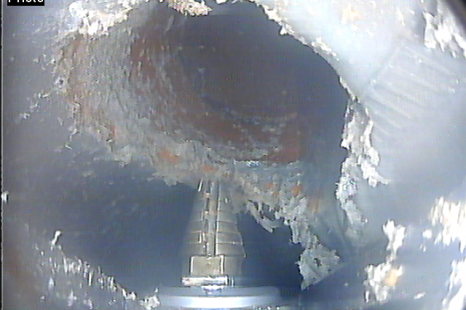 The small pieces of liner were then jetted to the manhole, where they were cut into smaller pieces and removed. 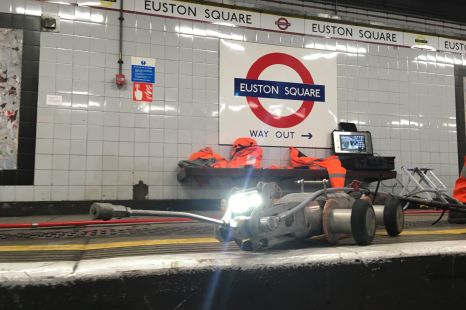 The Sewer Robotics mobile MH60 cable reel and CP3DP control unit were successfully used to remove over 5m (15ft) of concrete from an antique 500mm (20") brick storm water pipeline inside one of London’s oldest subway station. 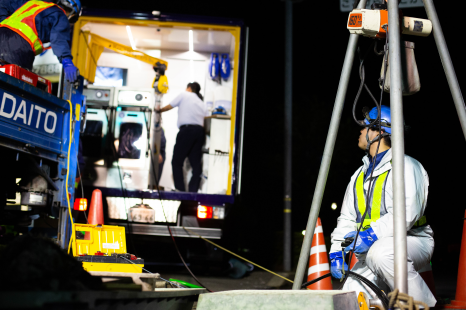 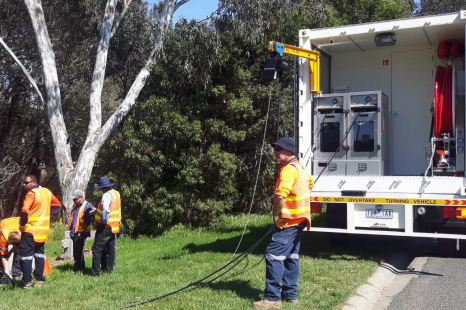 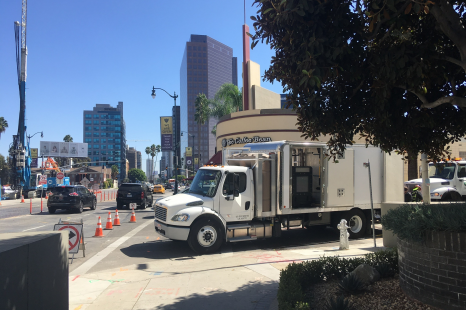 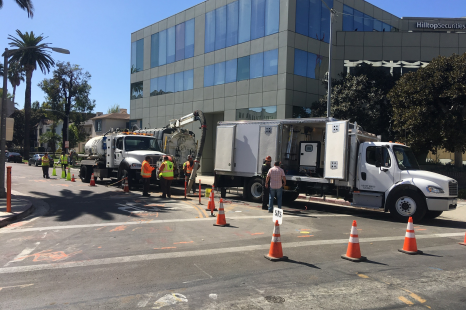 The truck with installed water supply and remotely controlled, diesel engine driven, 2500bar high pressure pump was parked outside and high pressure hoses were laid out over a total length of 250 meters (820ft) from pump to robot. 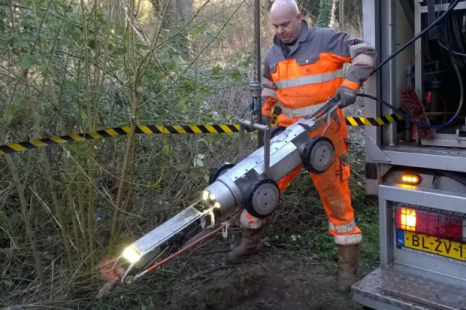 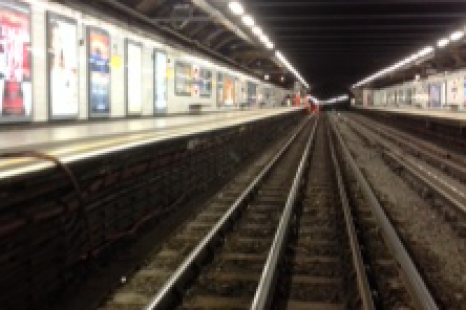 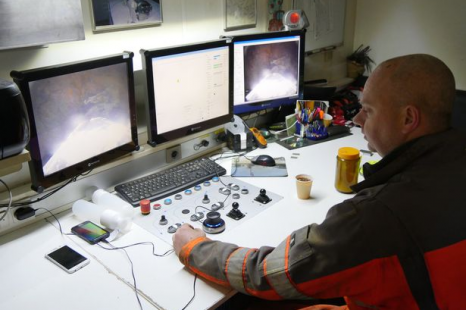 The robot was operated from the platform via the CP3D mobile control unit and mobile cable reel. 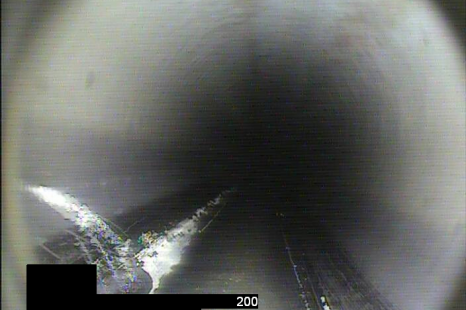 Years of hydrogen sulfide gasses passing this pipe section in Ibaraki, Japan had taken it's toll. 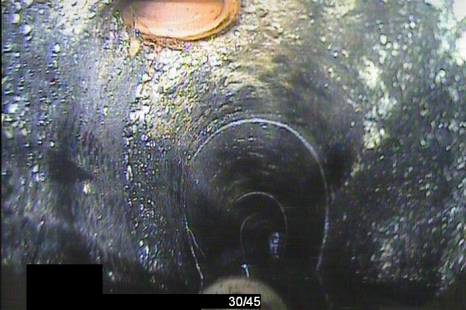 The Hume pipe was heavily tuberculated and the upstream manhole in a very bad shape. 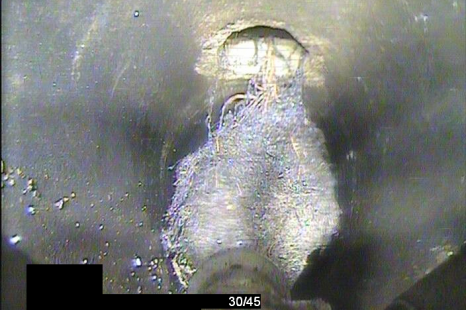 Reason for Daito CO., LTD. to take this job and remove the tuberculation with water jet cutting. 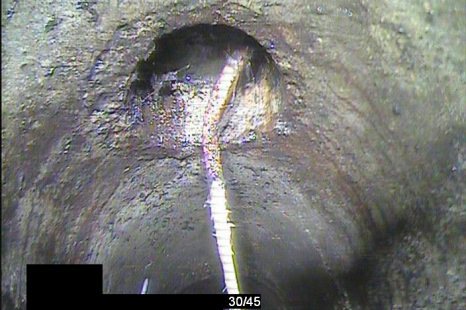 Afterwards, a manhole to manhole UV-liner was installed and the upstream manhole rehabilitated to solve the problem. 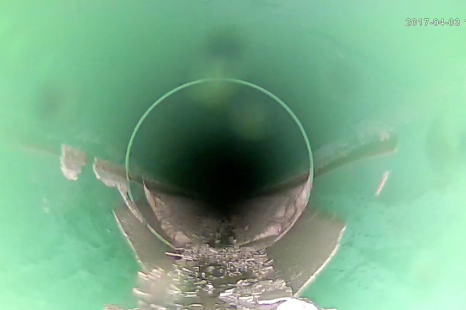 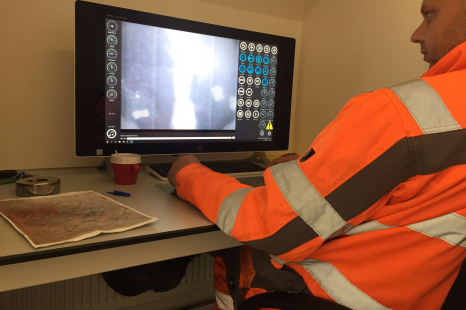 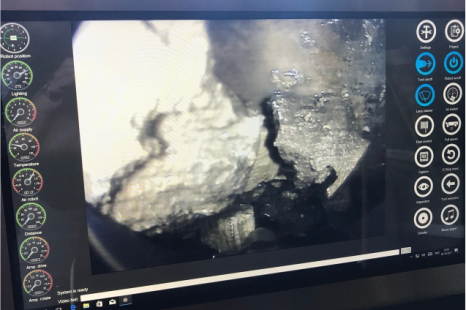 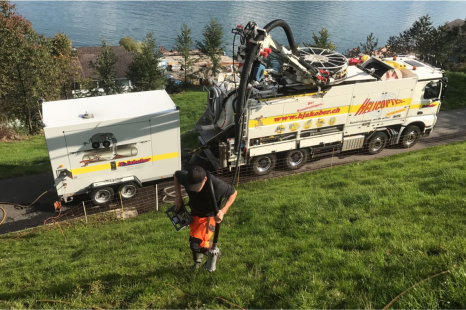 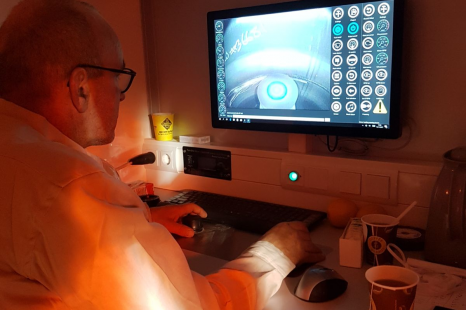 Limescale, the cristalized mineral deposits often found in sewer pipelines of hard water areas, has been succesfully removed from multiple sewer pipelines in the Swiss Alps by H.Jakober with the ID-tec system. 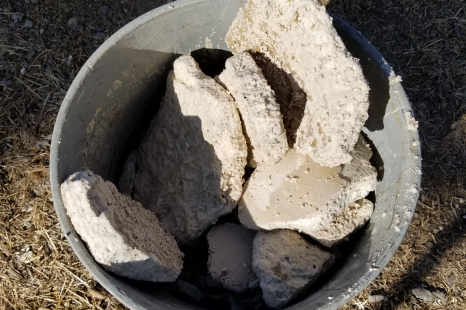 The calcium carbonate had build up over many years and was so hard that it required up to 2500bar (36,250psi) to remove at some sites. 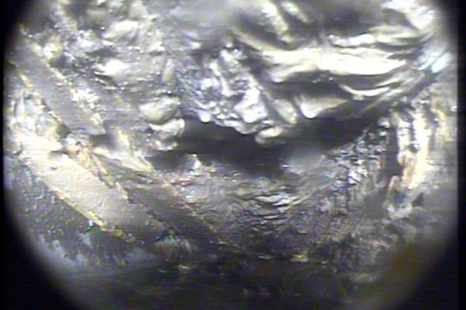 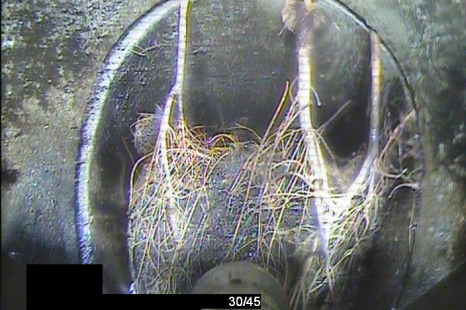 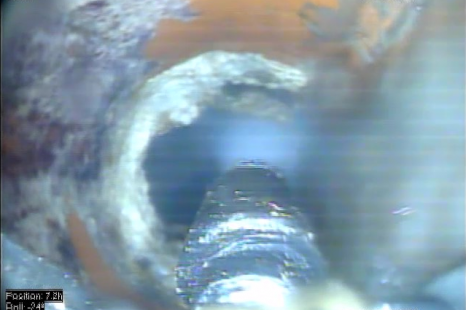 Root infiltrations from pipe joints and lateral connections are no problem for 7,250psi (500bar) precision water jet cutting. 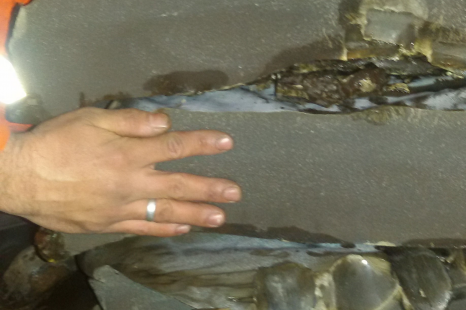 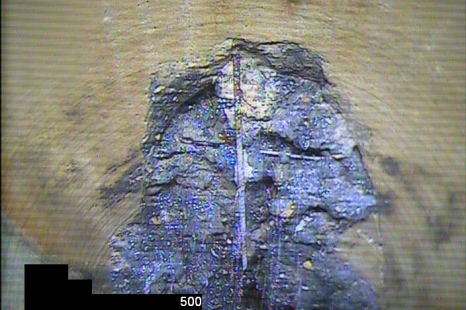 Multiple massive root infiltrations are blasted into wood pulp and removed within minutes. 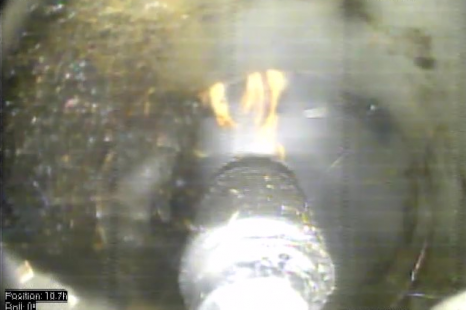 The steerable Pan & Tilt nozzle allows the operator to precisely target the roots without wasting time and water, including those roots right at the lateral connection. 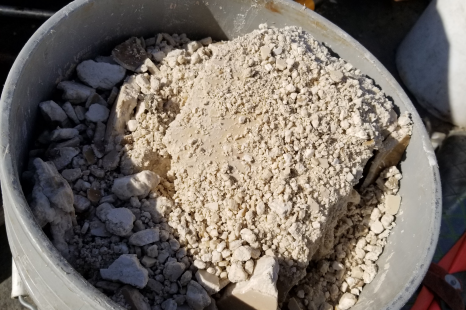 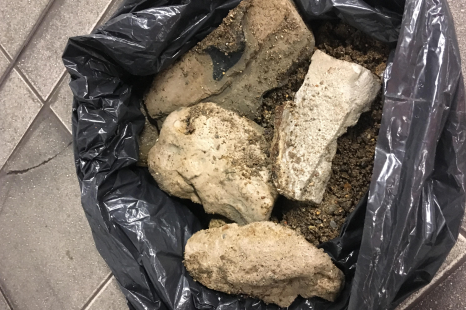 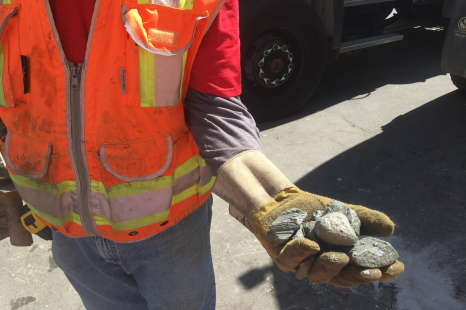 A grout mix meant for soil stabilization found its way into a vitrified clay sewer main pipeline during supportive construction for subway tunneling. 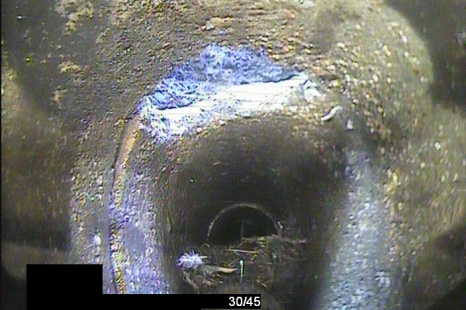 The slurry settled inside the pipe causing a serious blockage. 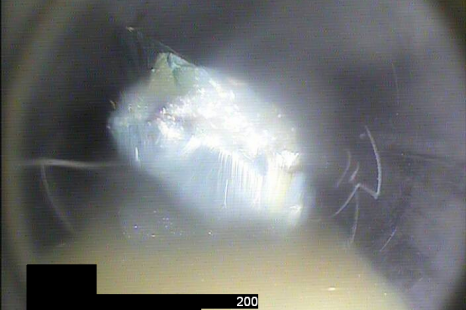 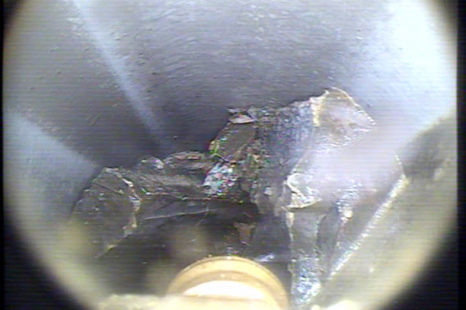 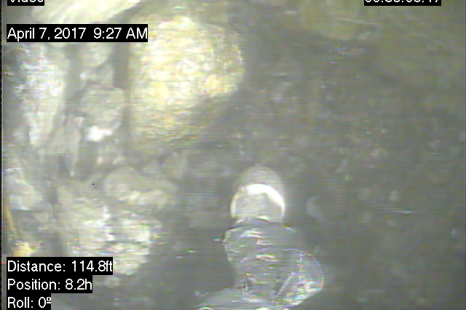 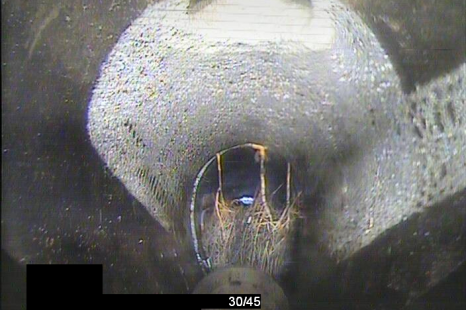 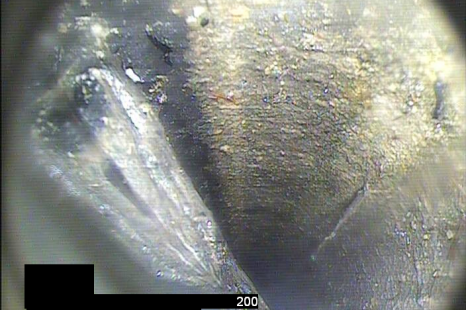 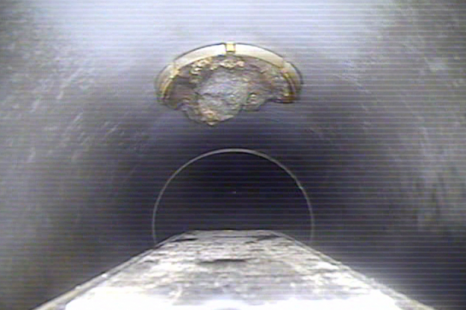 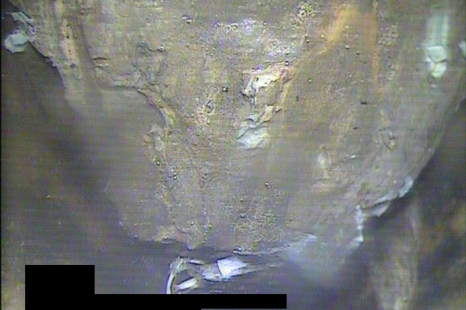 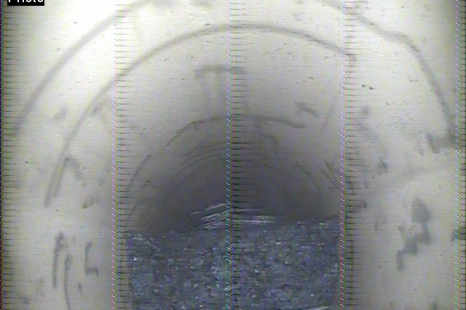 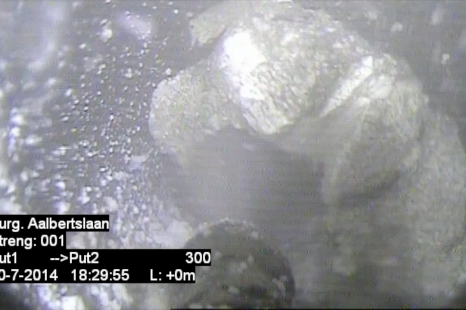 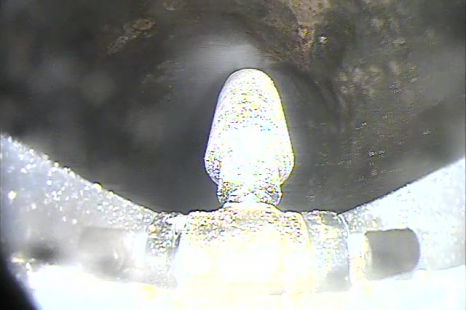 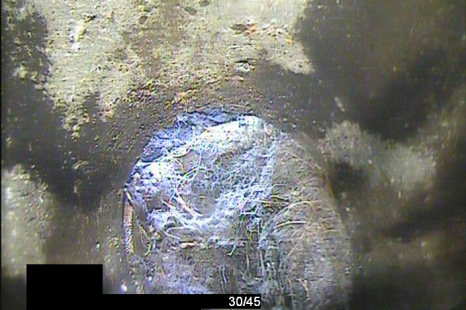 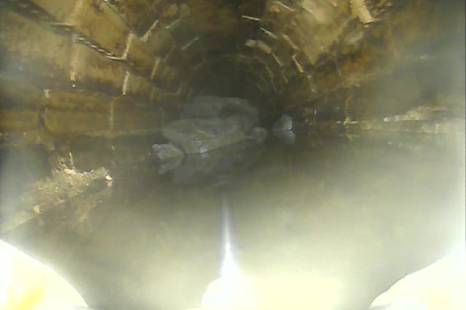 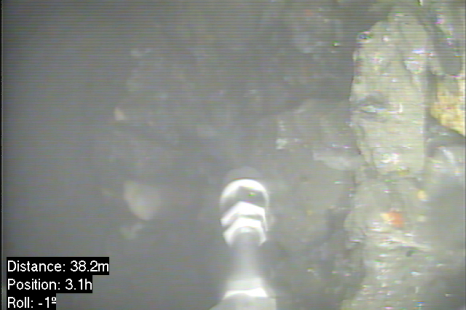 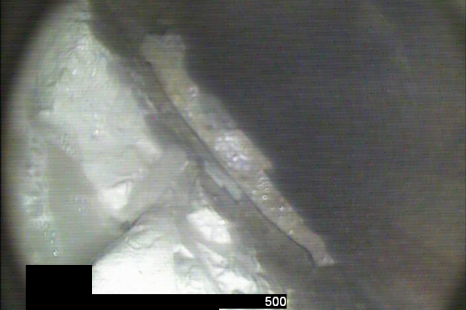 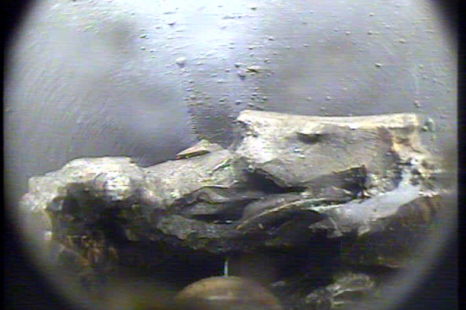 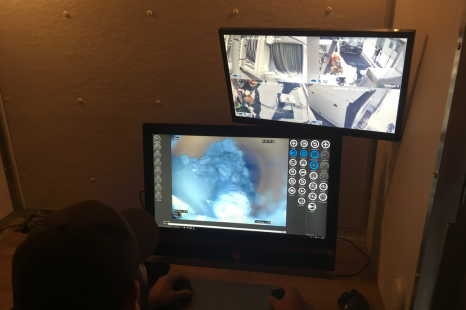 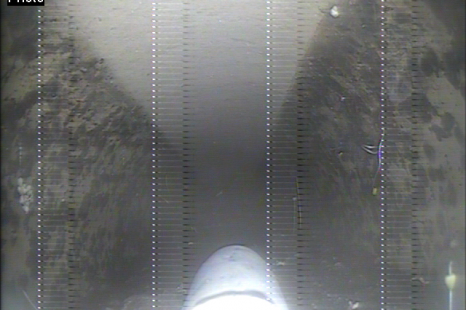 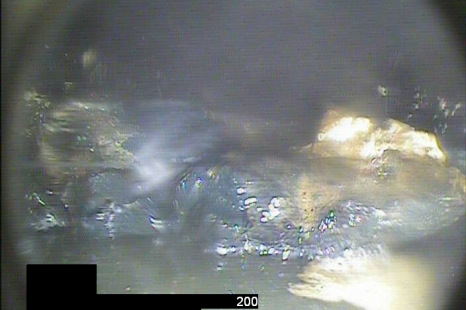 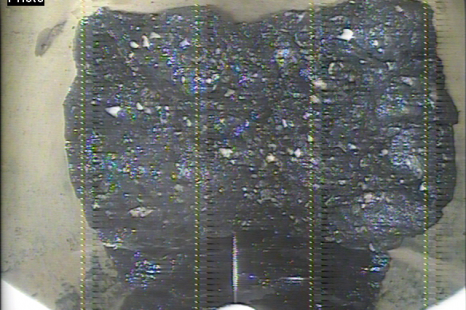 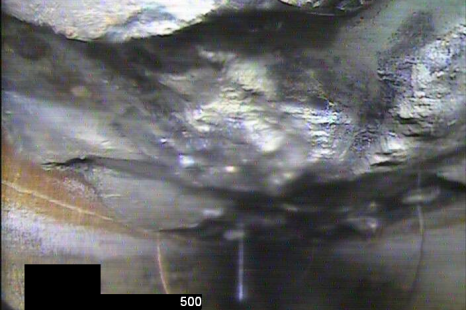 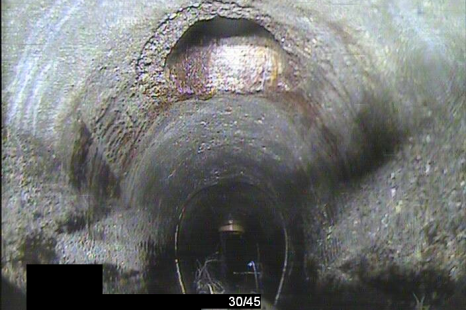 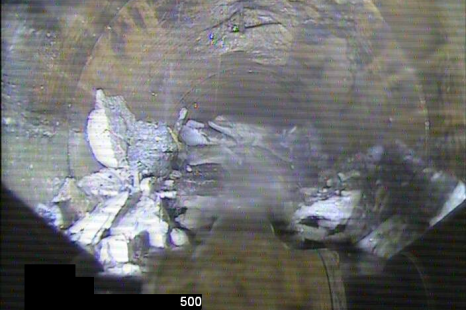 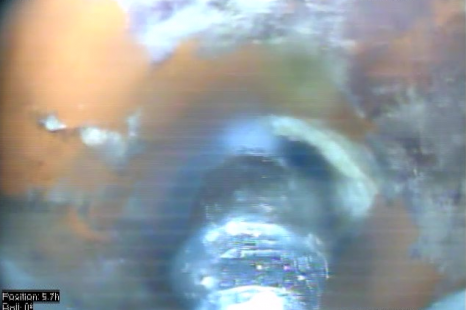 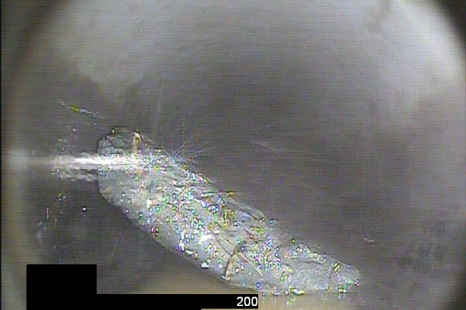 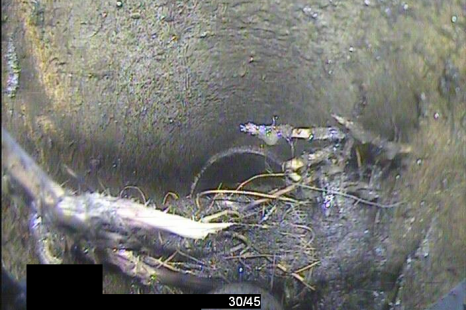 The grout was removed by Pacific Sewer Robotics who applied a 1000bar (14,500psi) controlled water blast from a remotely operated crawler with camera and steerable nozzle. 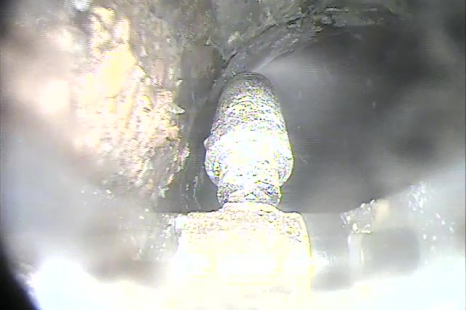 Within a few days the sewer pipe was restored to its full capacity and undamaged. 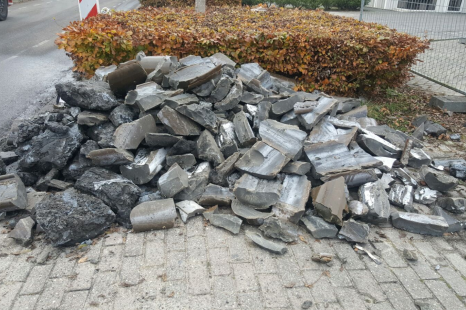 Concrete found its way into a 20” (500mm) drainage pipeline near the runways of a large Airport to settle and form an impossible blockage. 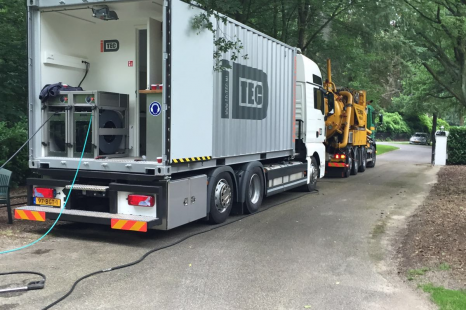 Walk in the park for the water jet cutting equipment. 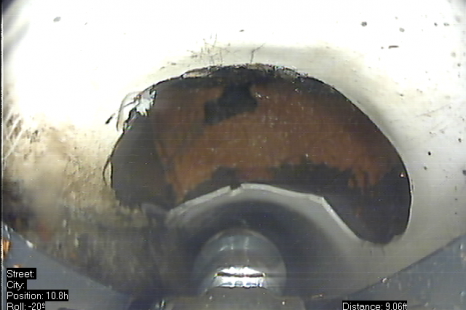 Blockage was removed in a few days. 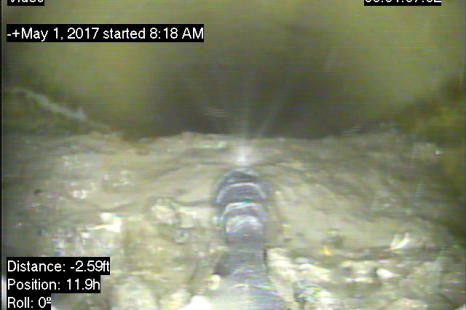 Have a look over the shoulder of this operator while he removes grout from this Sewer Pipe with the R125 transporter and WJ125 water jet cutting equipment at 1000bar (15,500psi). 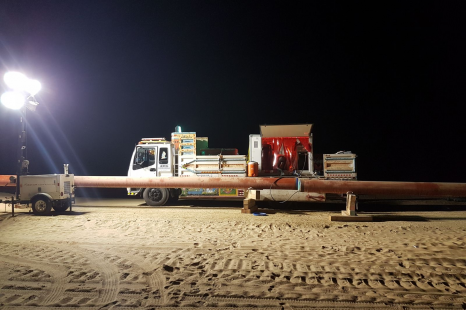 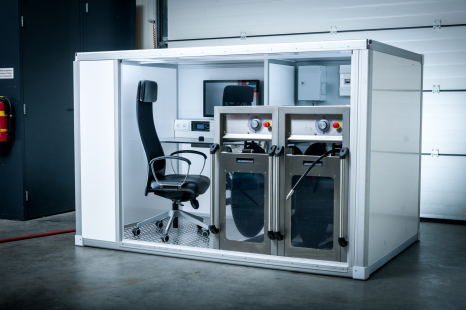 The ID-TEC electric cutting system, installed in an air-cargo box, was flown to Arabia and used for an emergency weld grinding job in the middle of the desert. 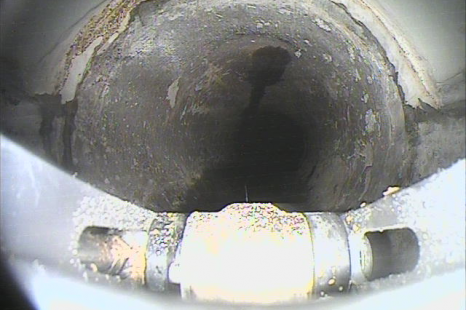 Hundreds of machine welded joints had to be smoothened before the pipe could be coated internally, due to a defect in the welding equipment. 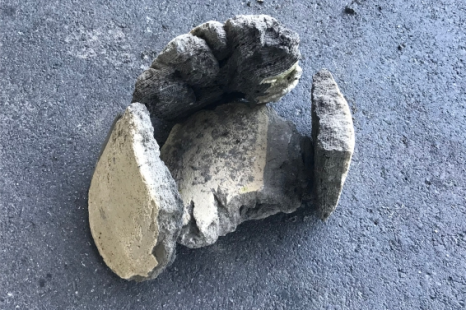 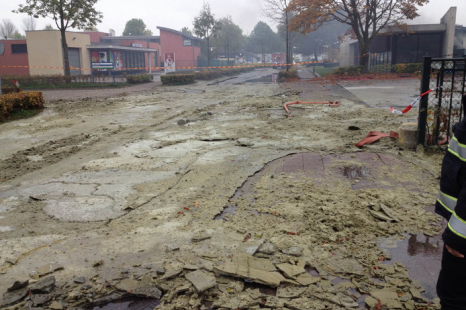 Concrete that was meant for the foundation of a building had filled a stormwater pipeline near Amsterdam, the Netherlands after one of the reinforced concrete foundation pillars was drilled through the line. 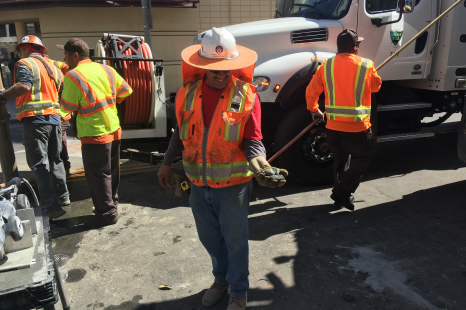 Pipe replacement was not an option, because the storm drain crossed an important highway. 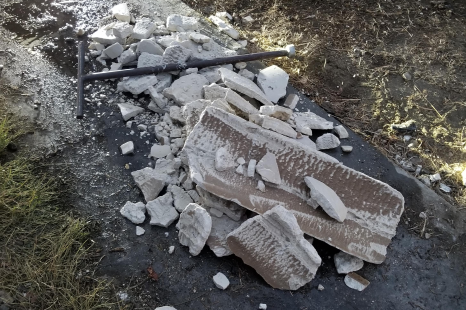 It took more than a week to remove all the concrete and the pillar from the storm drain with up to 2000bar precision water jet cutting. 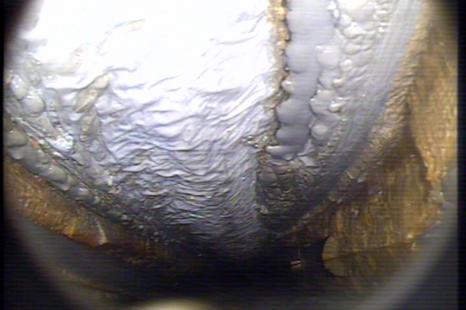 The calcium in this coated VCP 12" sewer pipe was more than half the diameter of the inside of the pipe and had formed a "pipe in a pipe". 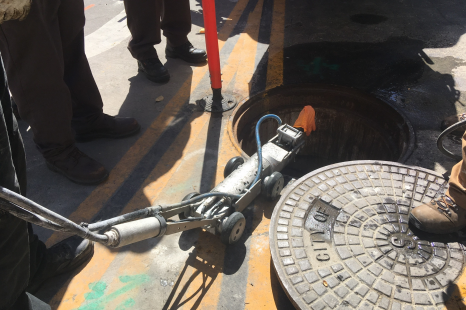 Pacific Sewer Maintenance broke that internal calcium structure into smaller manageable pieces for easy removal with a jetting truck. 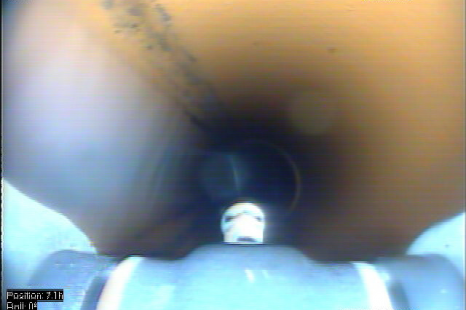 600 feet of pipe back to 100 % capacity. 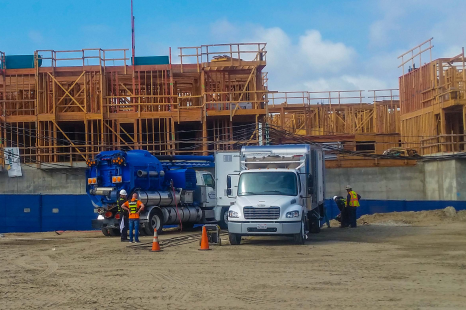 Concrete slurry with aggregate was poured into 250mm, 375mm and 450mm (10”, 15”, 18”) sewer mainlines after boring into an unmarked sewer line during ground stabilization work in a coastal condo development near Los Angeles. 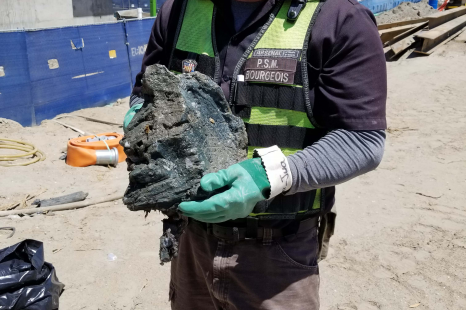 The concrete blocked the sewage flow from nearby Marina del Rey towards the treatment plant. 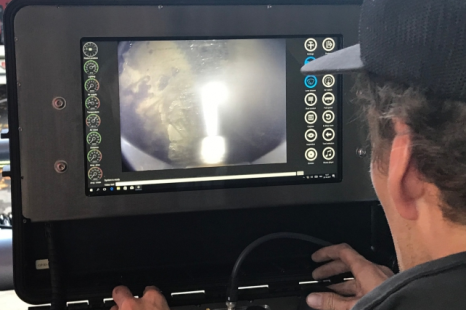 The operator controls the 1000bar (14,500psi) water blast with eyes on the operation to cut its way through the aggregate and the concrete to break it into smaller pieces. 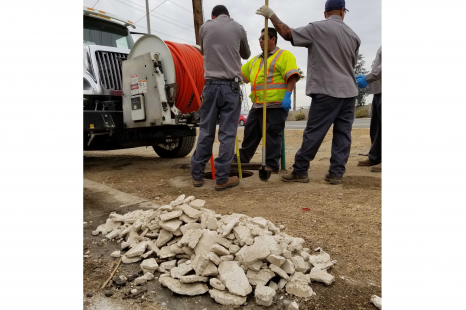 The concrete removal from the three lines took multiple weeks to complete and saved the building project as construction could continue. 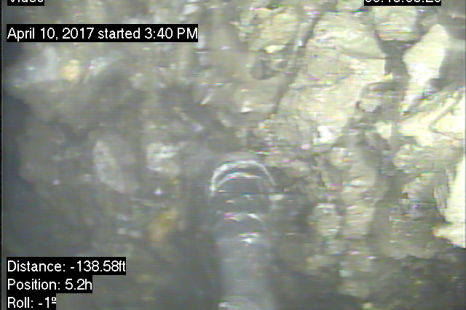 Fat and grease from various upstream located restaurants had settled inside this 12” (300mm) concrete sewer main line until the pipe flow was eventually blocked. 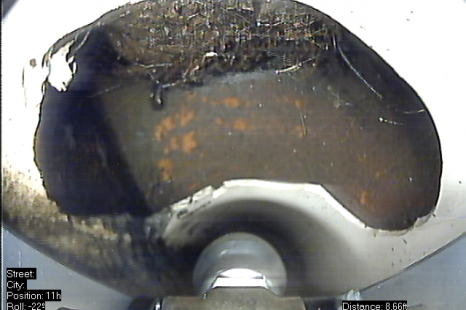 Precision water jet cutting with 7,250psi (500bar) water pressure was used with a rotary nozzle to remove the solidified fat and grease deposits fast and accurate. 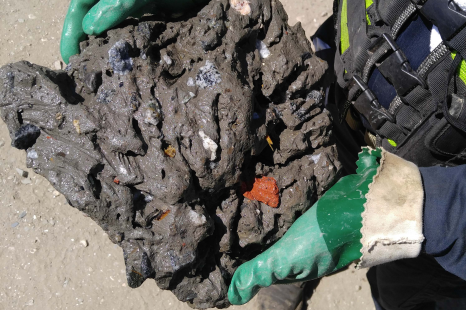 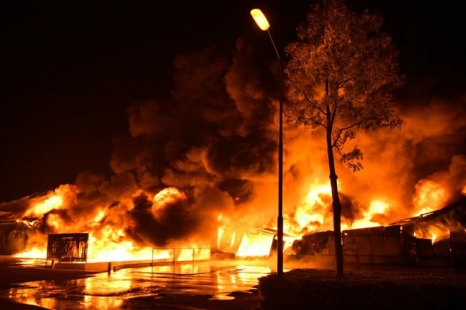 About 330,000lbs of natural Wax, for the production of candles, had to be removed from about 30 sewer and storm lines, ranging from 12" - 28", manholes and lateral connections after a factory fire melted the wax that floated on firefighting water into streets and sewer system where it settled. 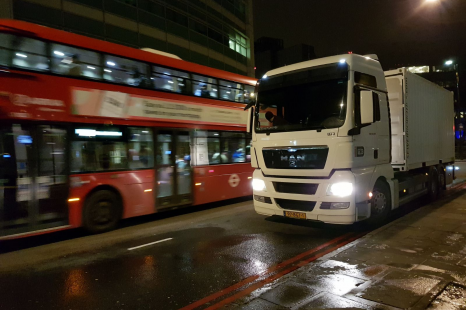 ﻿The material was not as hard as concrete, but it was still too complicated for conventional jetting trucks to take care off and replacing the lines would simply take months. 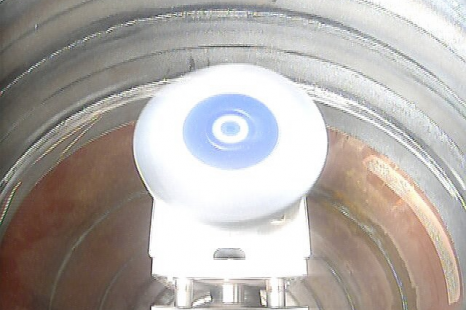 Precision water jet cutting robots where used to precisely remove the settled Wax in no time. 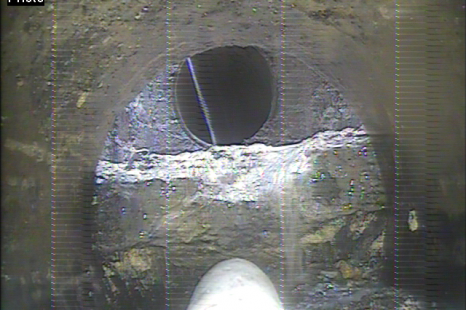 Removing a few thick tree roots that grew into a 200mm (8") VCP sewer pipe from the joint. 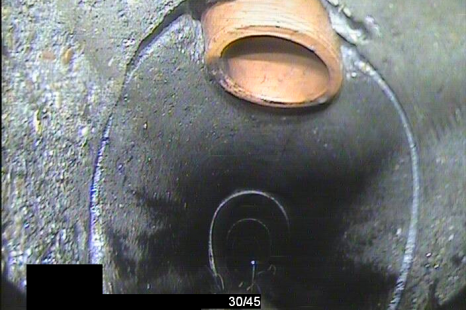 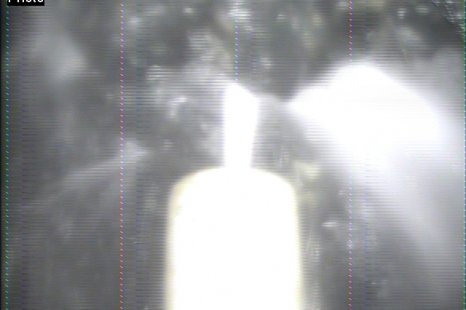 500bar (7,250psi) was used in combination with a rotary nozzle from the ID-TEC water jet cutting robot to remove the root infiltration in minutes. 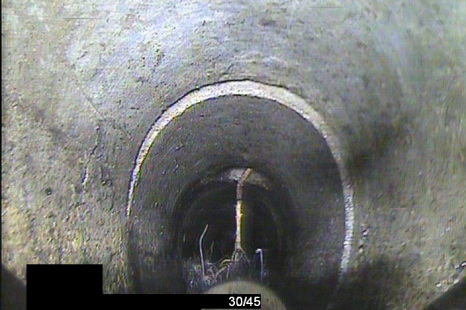 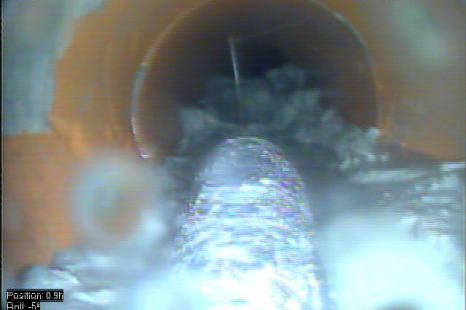 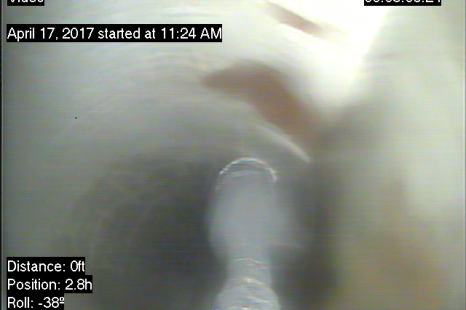 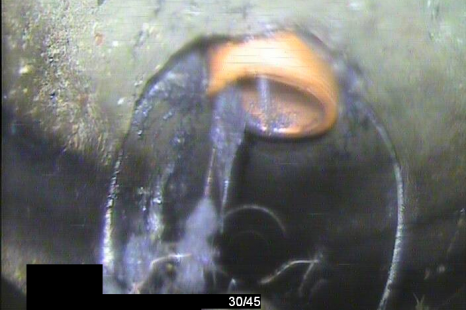 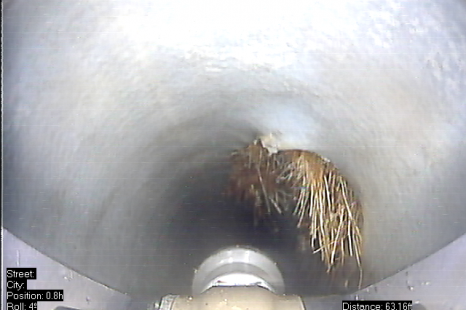 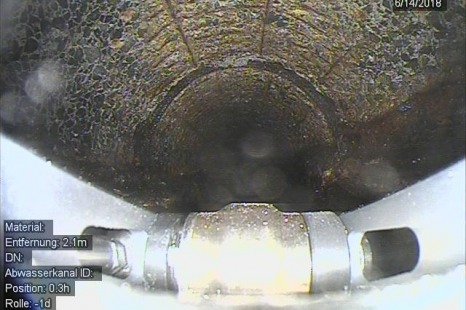 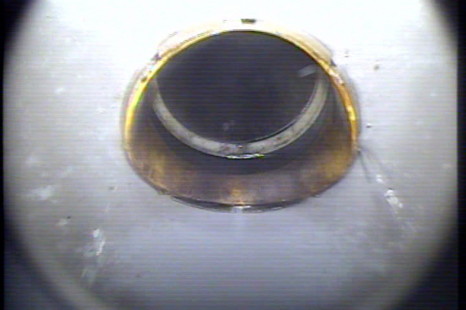 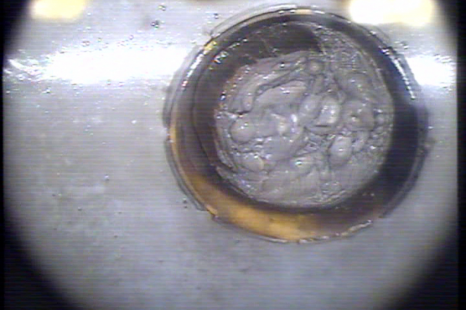 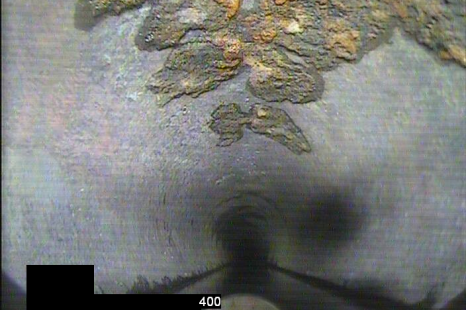 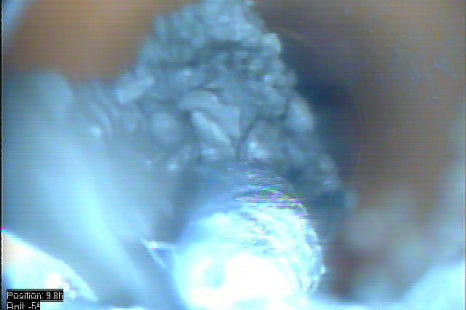 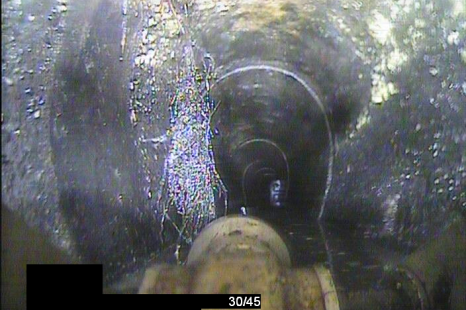 The ID-TEC R125 crawler with WJ125 water jet was used to remove the root infiltrations that this failed liner could not prevent from infiltrating this 6 inch (150mm) sewer mainline. 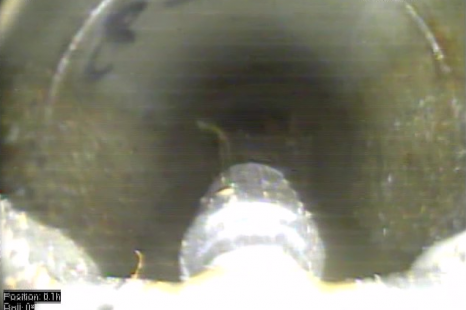 Scaling and tuberculation reduced the flow in cast iron pipelines. 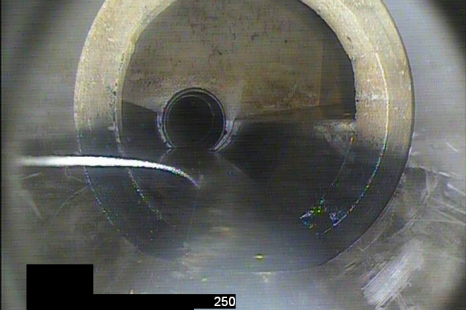 The pipe flow was restored with a water jet applied from a robot with camera and rotary nozzle with 500bar (7,250psi) water pressure. 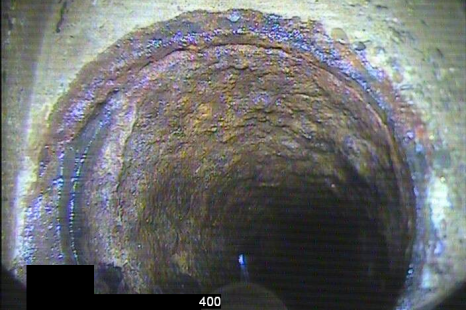 Years of mineral deposits leaving a layer of calcite and narrow joints inside this 200mm (8”) clay sewer main pipeline. 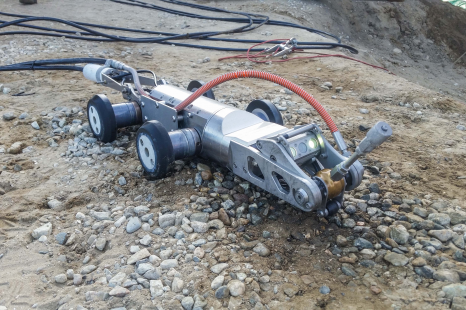 Water jet cutting applies a high pressure low volume water blast from a special designed crawler with camera and pan and tilt nozzle to remove the calcium without adding damage to the host pipe. 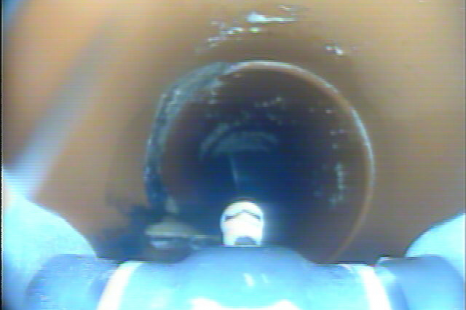 Calcium mineral deposits had built up over years in this 250mm (10") PVC pipeline and were removed with the ID-tec system. 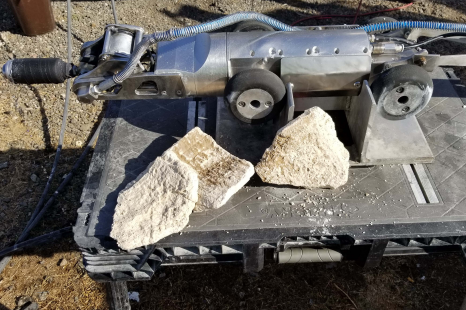 The calcium broke loose in pieces as soon as the water blast penetrated the deposits and were removed with the jetter truck. 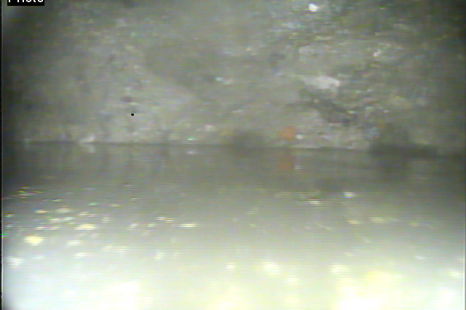 The PVC host pipe remained untouched. 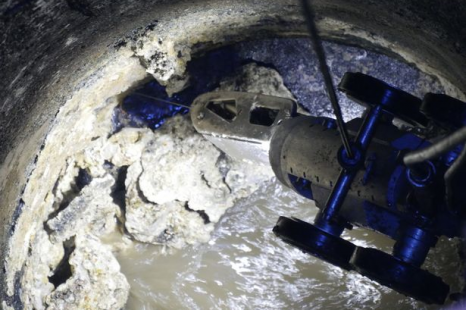 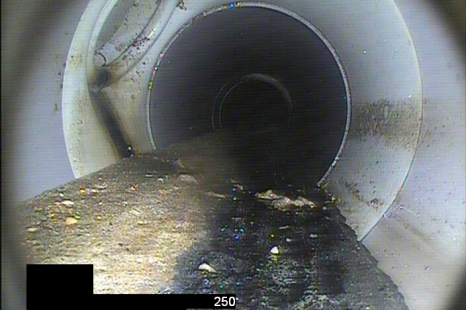 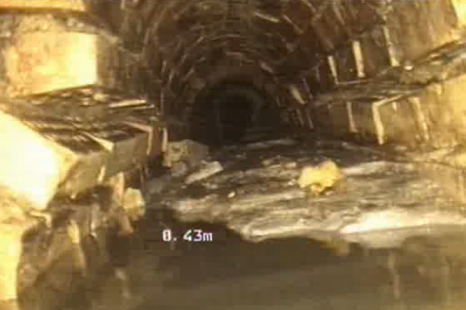 The enormous fatberg was found in UK sewers was approx. 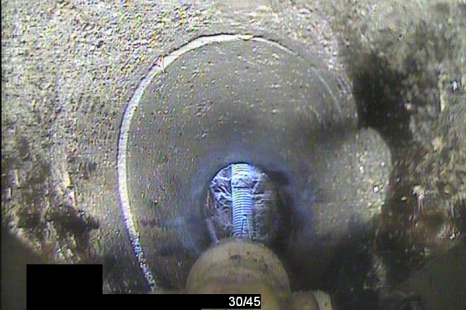 330ft in length and 9.5" (100m long and 25cm thick) and taking up half the flow capacity of the pipe. 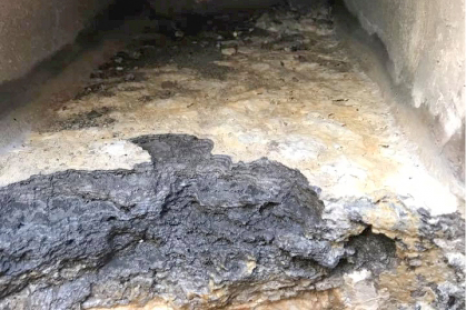 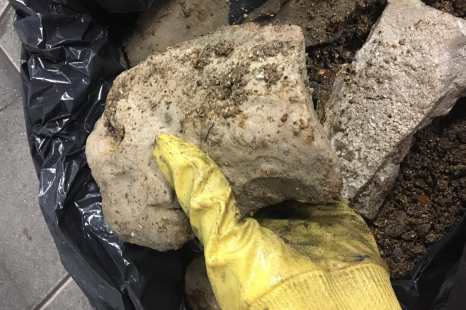 The gruesome fatberg was one of 30,000 sewer blockages a year in East Anglia - 80 per cent of which are caused by wipes and fats. 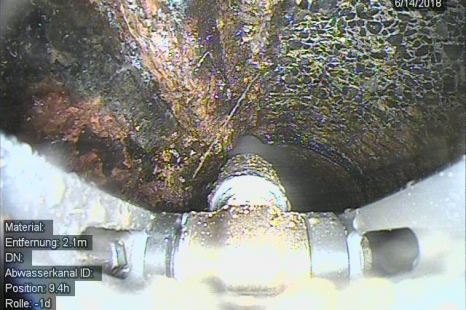 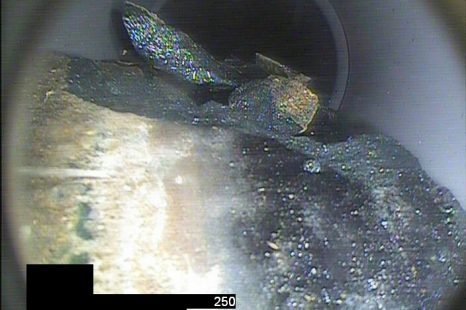 Removing the grease film and taking care of tree roots infiltrated from joints, cracks and lateral connections to prepare a pipe for the installation of a cured in place pipe (CIPP) liner. 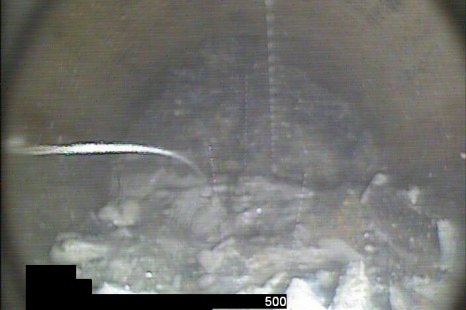 Settled cement deposits were brooken into smaller pieces to be jetted from this 200mm (8") sewer main pipeline. 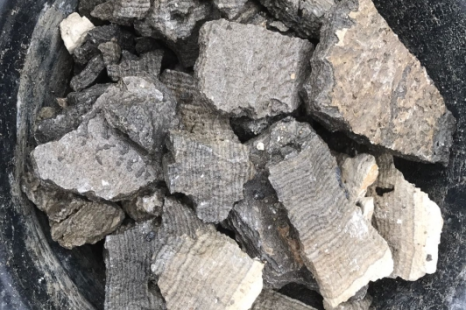 The water blast used with water jet cutting finds its way through the deposit and breaks it into smaller pieces. 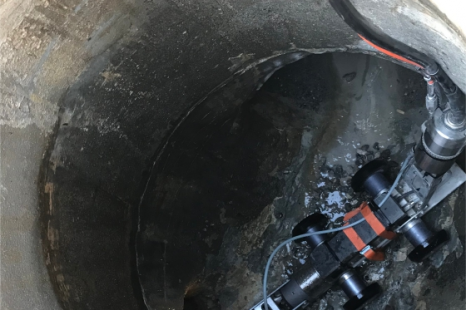 Reinstating laterals with the SR-SERIES HA125 lateral reinstatement cutting module after relining a 6" (150mm) VCP sewer main line in Florida.